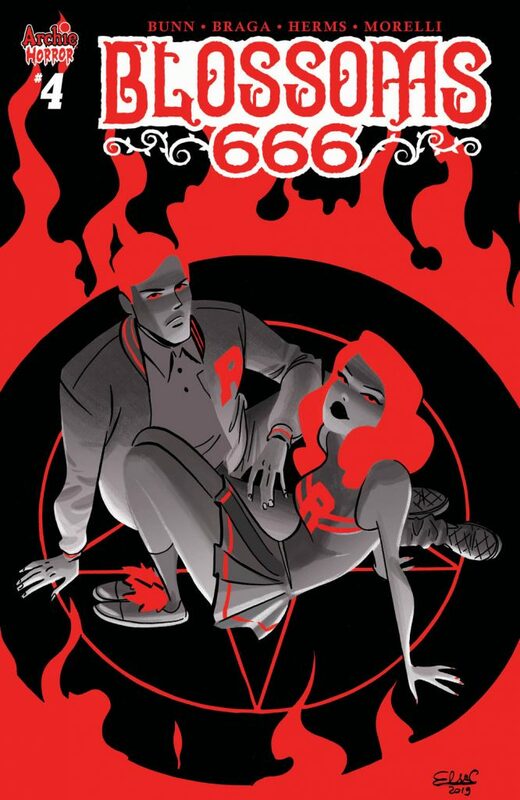 A mysterious stranger has appeared in Riverdale, and he has designs on the infernal crown of the Anti-Christ! But Cheryl and Jason are not sitting idly by while someone steals their birthright! The twins have put aside their differences in order to take down this pretender to the throne! Jughead has had a lot to deal with since going all "Full Moon". 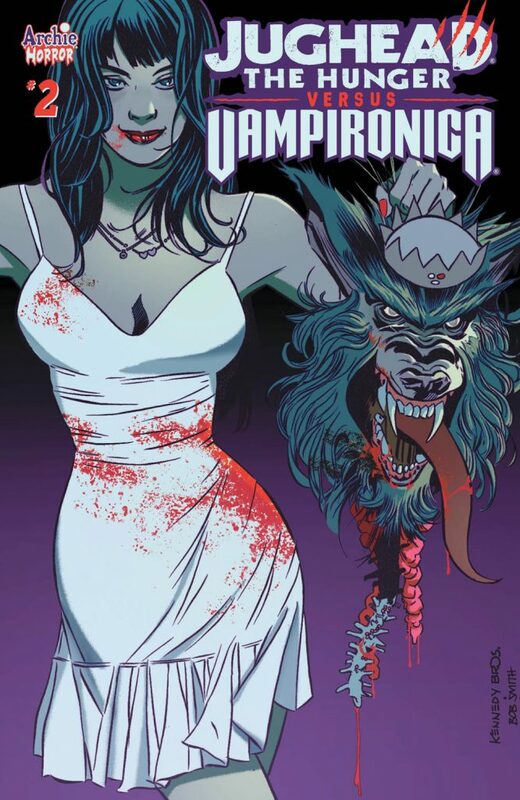 Betty Cooper werewolf hunter, Reggie Mantle werewolf pack... even a Frankenmoose. 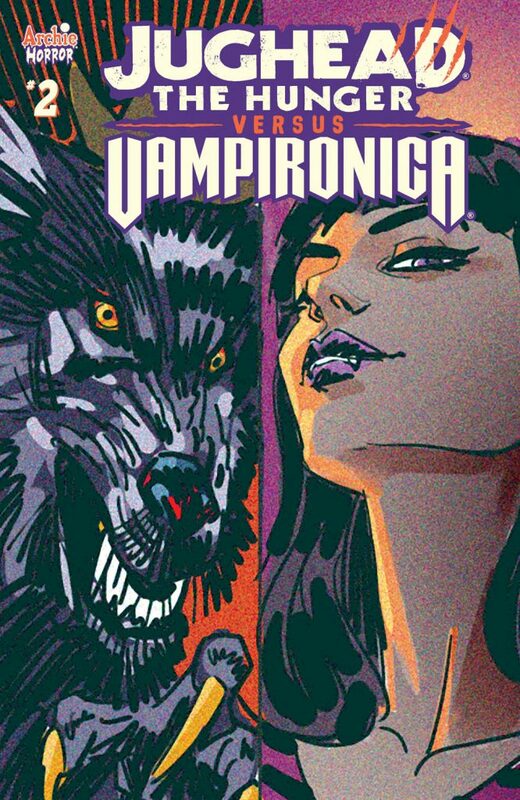 But has any of this prepared him for Vampironica? Or the horde or vampires that are invading his reality with her? Nope! "SUMMER," pt. 5: Graduation day is here! Betty and Veronica have finally made peace with their decisions and vow to make this a summer to remember. What lies in the future for the BFFs? You may be surprised to find out! 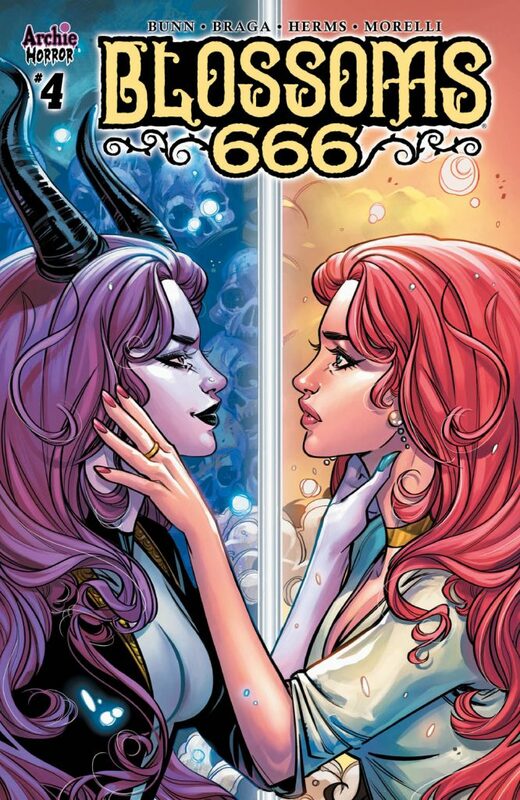 The comic based on the hit CW series is back! 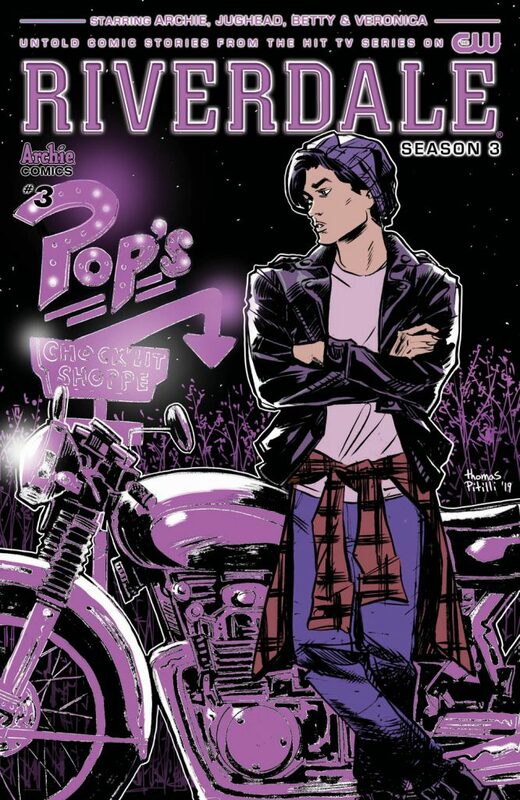 These two stories set between episodes of season 3 of Riverdale include a peek at life in Leopold and Loeb and an online crush with sketchy intentions! BRAND NEW STORY: "Love is in the Spare!" 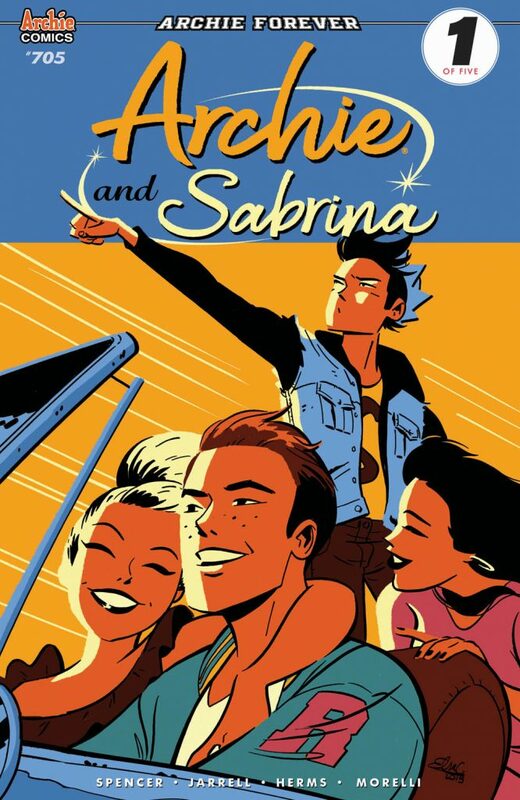 Archie picks up Veronica for a date at a fancy restaurant--but a flat tire derails their trip! Determined to not miss their reservation, Archie will have to think fast. Luckily, Reggie's on the scene to help--wait... Reggie?! BRAND NEW STORY: "Head Games!" 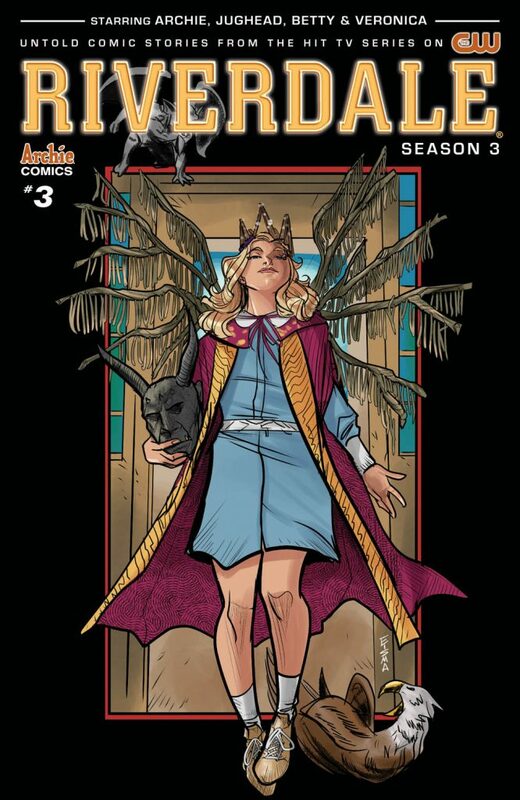 Archie and Jughead take a trip to a unique secondhand store where they find Big Moose--no, not their friend, a decorative moose head that causes a whole load of trouble for Archie! 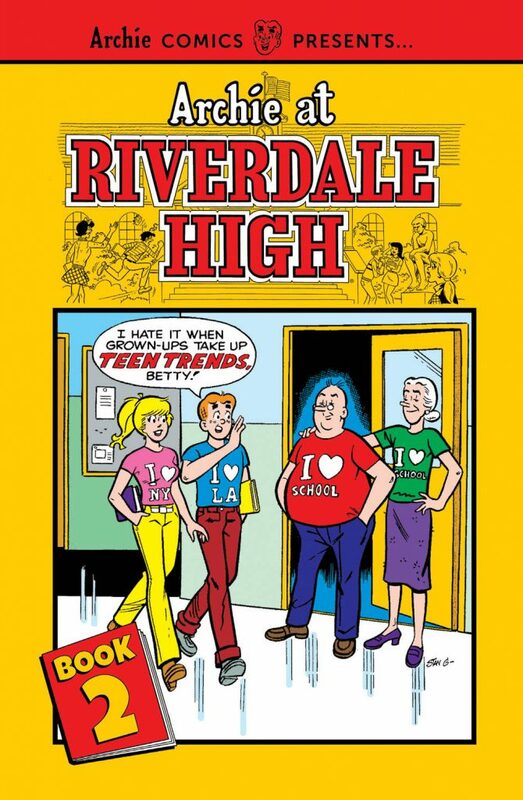 ARCHIE AT RIVERDALE HIGH VOL. 2 is the second collection of titles featuring the 1970s series. Take a trip back to the best-known period in Archie history, and see the lessons learned from the day-to-day happenings at Riverdale High! You are cordially invited to a GALA--an amusing, GIANT party featuring our most fun and hilarious stories! 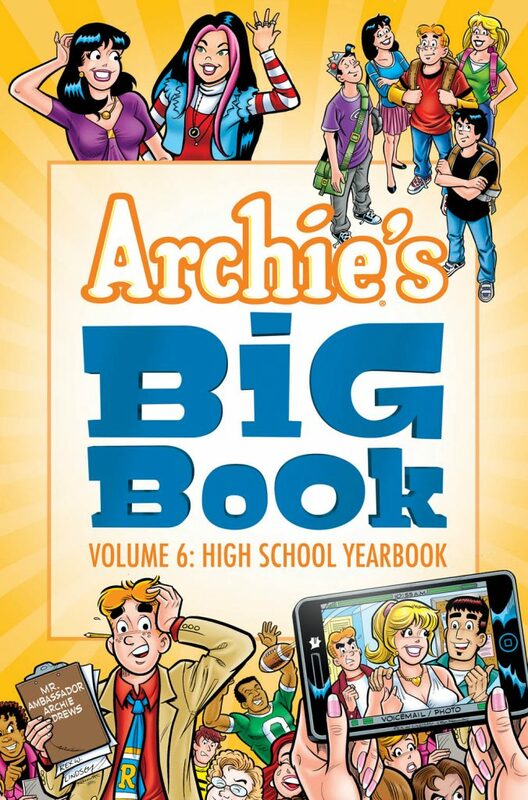 This collection features over 400 pages of iconic Archie tales in one amazing volume! BRAND NEW STORY: "Ghost of a Chance!" Meet Betty and Veronica: Ghost Hunters! Find out what happens when the dynamic duo spends a night in an allegedly haunted house recently purchased by Mr. Lodge! BRAND NEW STORY: "Betty and the Beanstalk!" Betty gets a hold of some magic beans in this Archie riff on the classic Jack and the Beanstalk fairy tale! BRAND NEW LEAD STORY: "Follow That Truck!" When Coach Clayton gets tired of Archie and Reggie's constant competitive fighting, he has an idea: to make them get along better as teammates, they have to complete a task--get Jughead into proper shape so he can avoid failing gym class! Will this be one sport that proves too tough for the boys? And now they're just down to recombining older TPB collections into somewhat larger collections. This one looks to be FRESHMAN YEAR (Books 1 & 2) + NEW KIDS. Both good stories, though the Freshman Year plot points introduced by Batton Lash never seemed to ever be referred to in any subsequent stories. It did seem to be a little 'rebooty' at least in certain respects, like introducing Cheryl to Riverdale High in the gang's freshman year. ACP continues to confuse the $#!+ out of me. 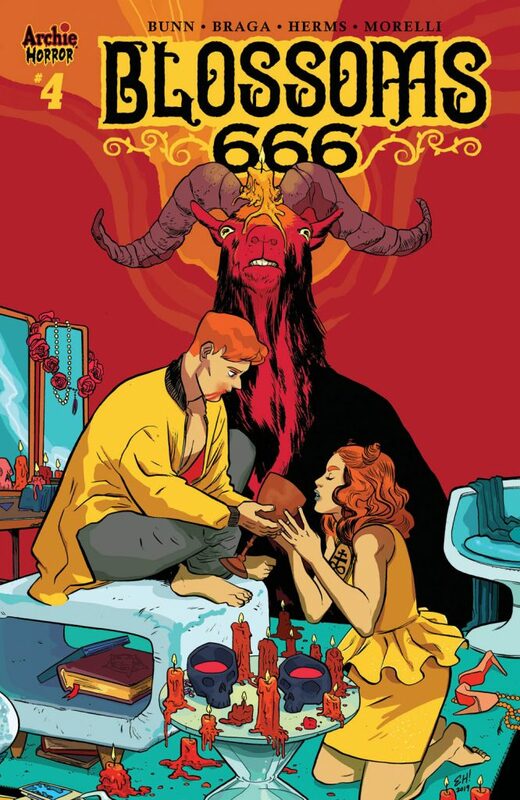 What the heck is bannering a certain few titles with the logo "Archie Forever" supposed to mean, anyway? 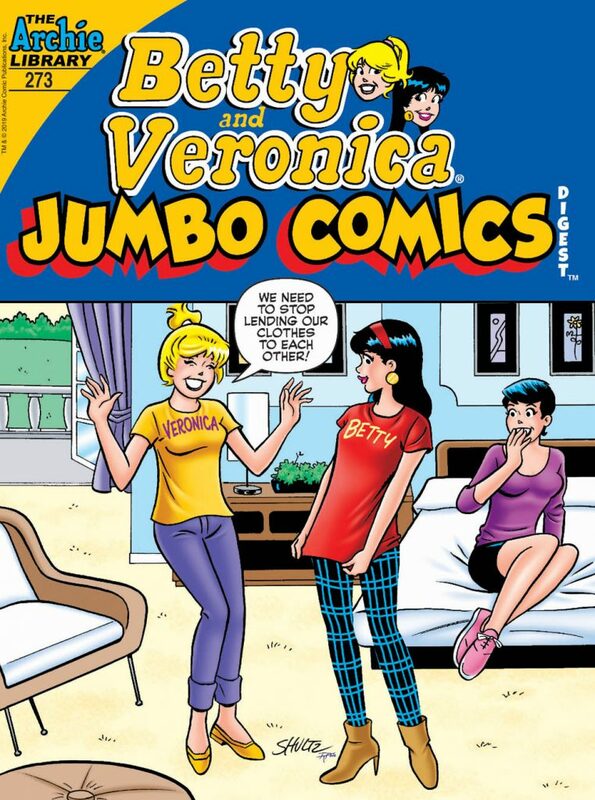 When both ARCHIE #700 and BETTY & VERONICA #1 (of 5) came out around the same time, with both of the series' characters beginning their Senior year of school at Riverdale High, I assumed it meant that these titles were vaguely related somehow, i.e. they shared a common universe. Except now it doesn't seem like that can be the case. 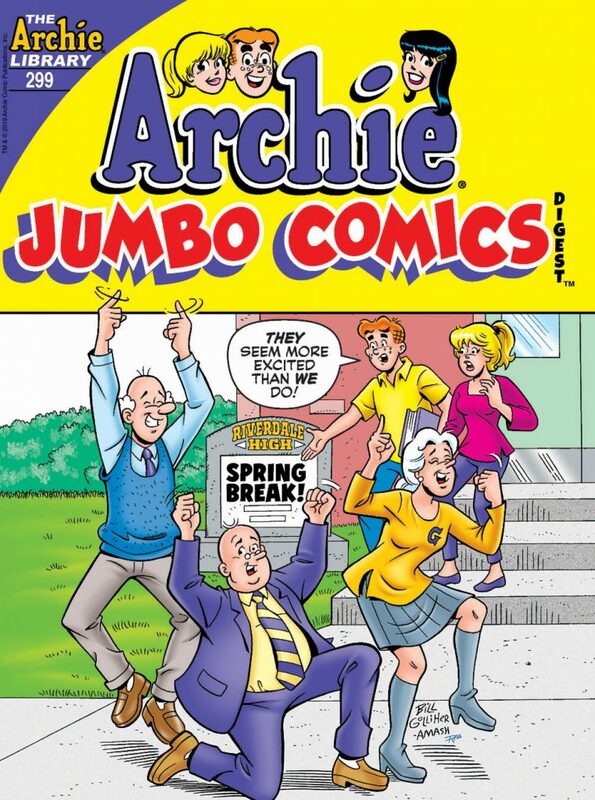 It took the previously-numbered ARCHIE series from 2015 to 2018 (and 32 issues worth of comicbook-time) to get through their Junior year, and it doesn't look like time is moving all that differently now in the new Archie series re-numbered from #700 onwards. 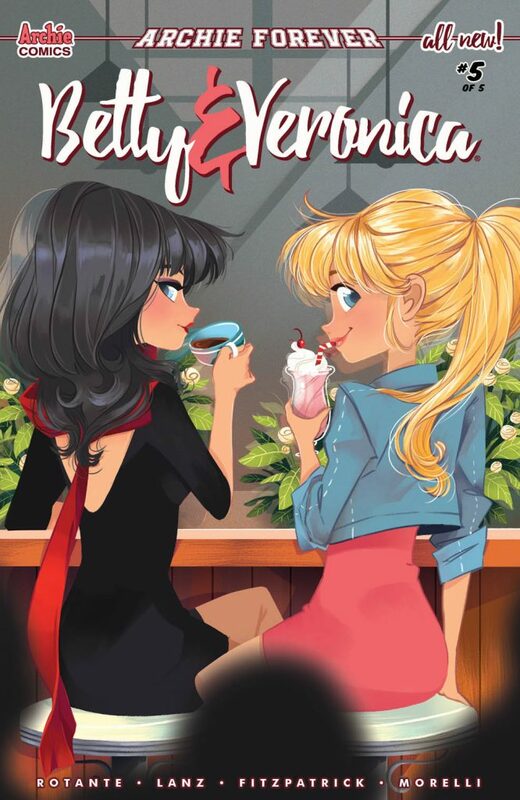 Yet Betty & Veronica, who started Senior year in their issue #1 around the same time as Archie 700, raced through two semesters in 5 issues and are already ready for Graduation Day. 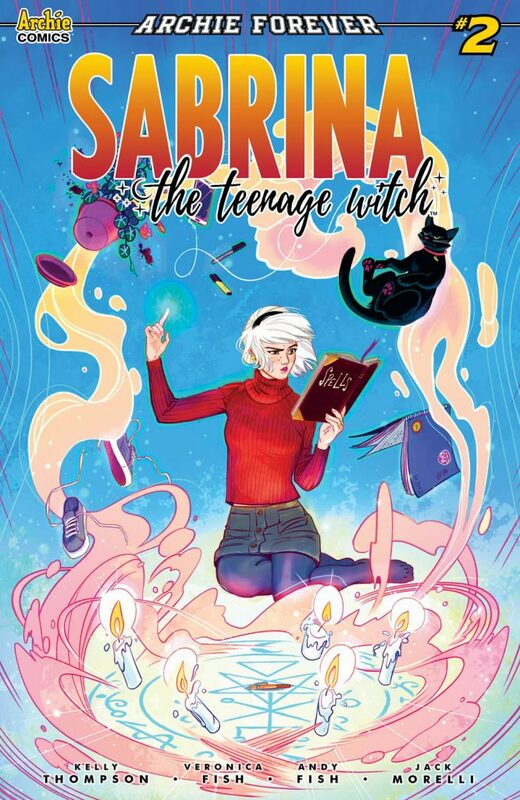 Meanwhile, Sabrina is doing the girlfriend-boyfriend thing with Archie over in his title, but in her own title, she just seems to be arriving in Riverdale for the first time (and is it just me, or does the cover image above make Sabrina look Asian?)... so it doesn't seem like any of these books can inhabit the same continuity. So what the heck's the "Archie Forever" banner supposed to signify? It's not on other floppy-format comic titles that they publish, so it's not just some line-wide rebranding thing. Quote from: DeCarlo Rules on March 03, 2019, 12:55:27 pm ACP continues to confuse the $#!+ out of me. 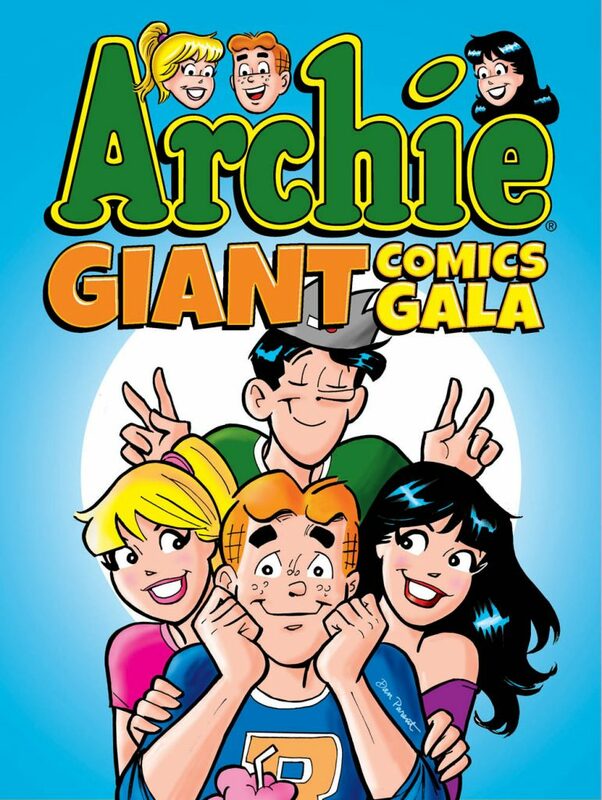 What the heck is bannering a certain few titles with the logo "Archie Forever" supposed to mean, anyway? Just "Yeah, Archie forever, woo-hoo!" That's it. Nothing more complicated than that. 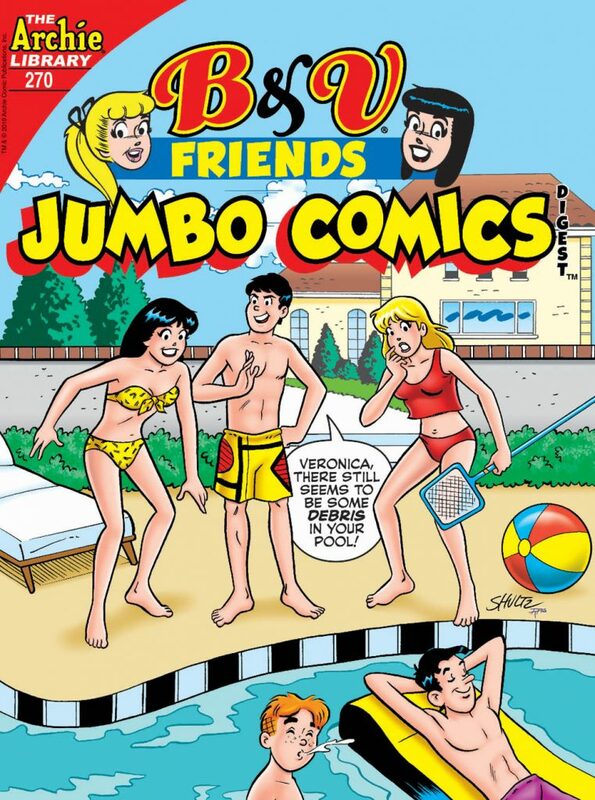 Quote from: DeCarlo Rules on March 03, 2019, 12:55:27 pm When both ARCHIE #700 and BETTY & VERONICA #1 (of 5) came out around the same time, with both of the series' characters beginning their Senior year of school at Riverdale High, I assumed it meant that these titles were vaguely related somehow, i.e. they shared a common universe. Except now it doesn't seem like that can be the case. 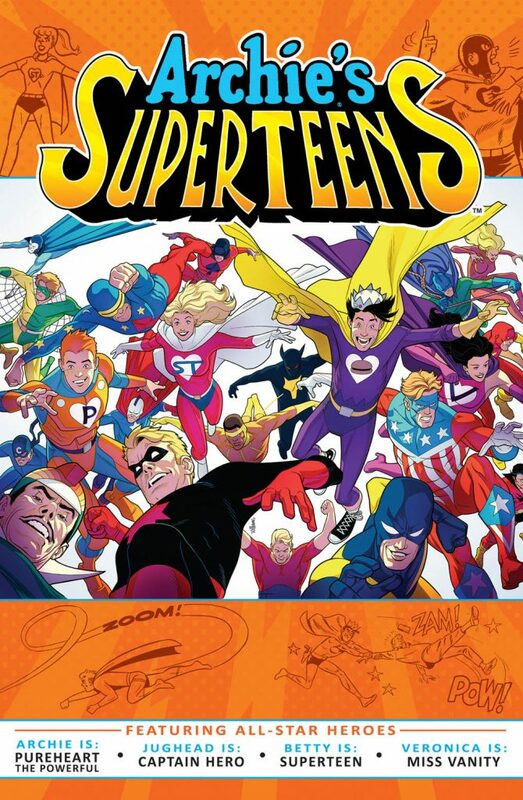 It took the previously-numbered ARCHIE series from 2015 to 2018 (and 32 issues worth of comicbook-time) to get through their Junior year, and it doesn't look like time is moving all that differently now in the new Archie series re-numbered from #700 onwards. 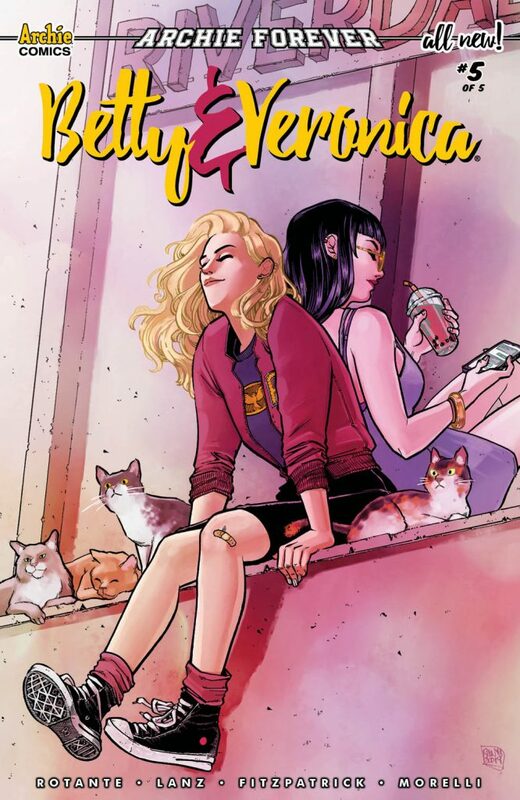 Yet Betty & Veronica, who started Senior year in their issue #1 around the same time as Archie 700, raced through two semesters in 5 issues and are already ready for Graduation Day. 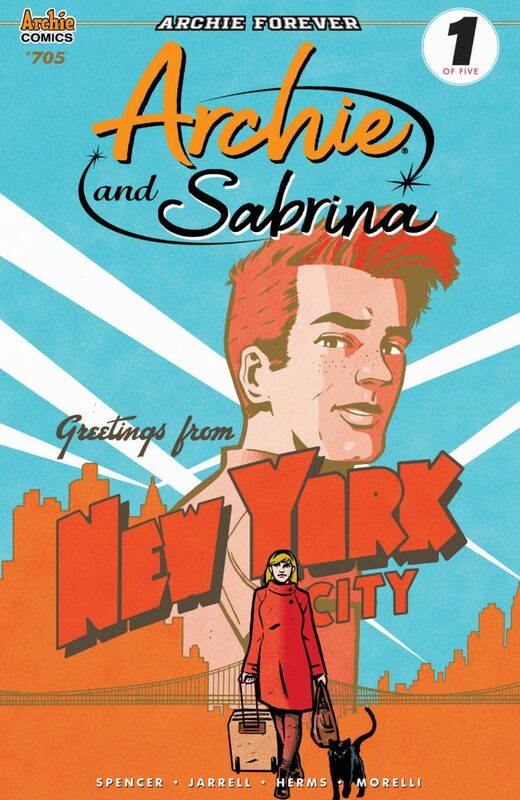 Meanwhile, Sabrina is doing the girlfriend-boyfriend thing with Archie over in his title, but in her own title, she just seems to be arriving in Riverdale for the first time (and is it just me, or does the cover image above make Sabrina look Asian?)... so it doesn't seem like any of these books can inhabit the same continuity. 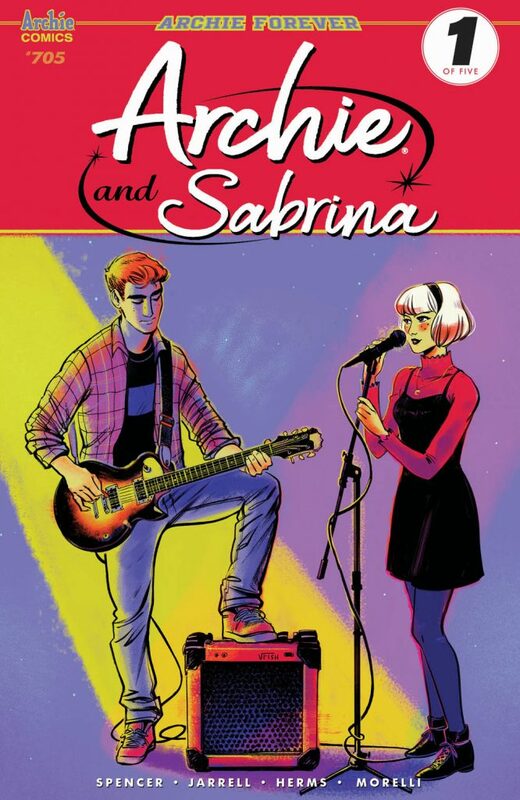 Soon after the Jughead reboot started, I realized the various New Riverdale titles don't inhabit the same continuity. Each title stands on its own and doesn't count in regard to the others. 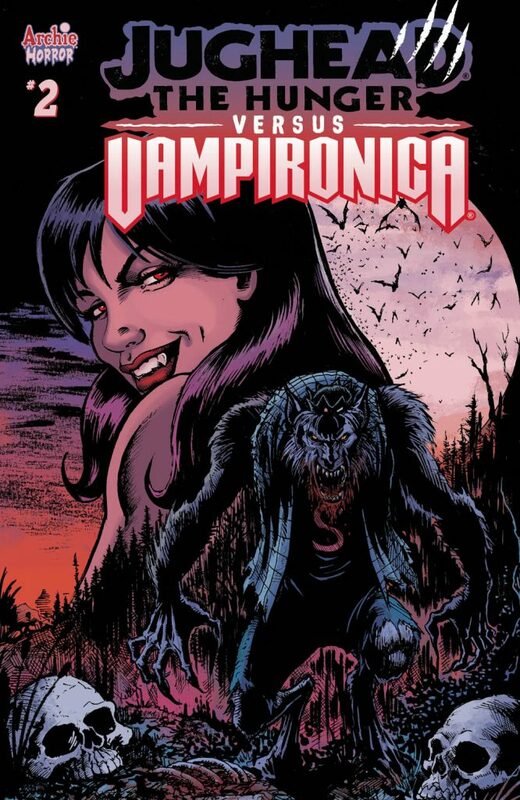 The only seeming exception is Jamie Rotante's statement that, in her mind, the B&V miniseries occurs in the future of the Archie title, but I've already found contradictions. So it's best to think of each title as its own separate continuity. 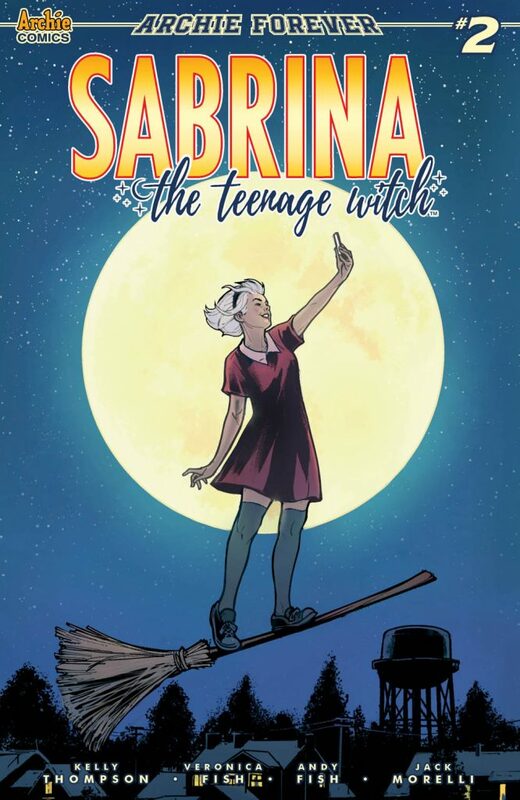 Oh, and Sabrina's moving to Greendale in her new miniseries, not Riverdale. So "Woo-hoo! ", Rah, rah, go ACP! Unless it's a horror title, or a classic Archie title. 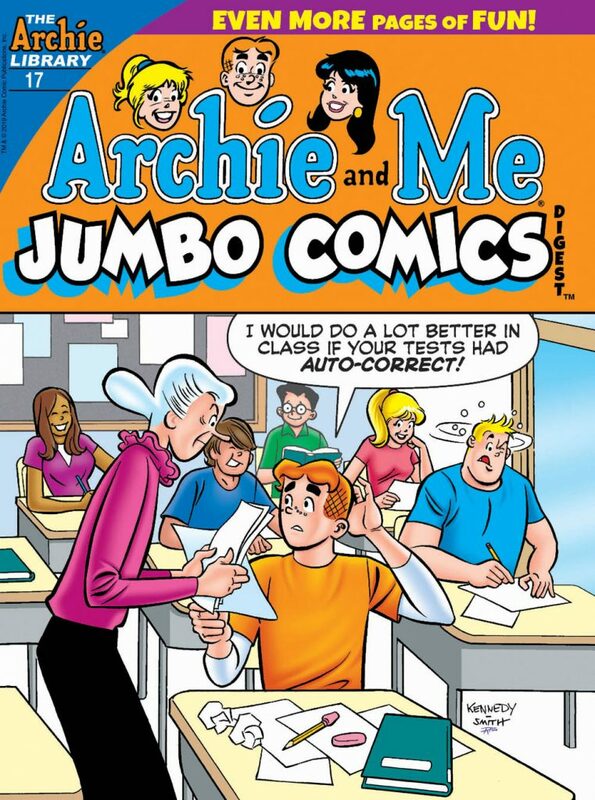 Then I guess it's "Archie... whatever". 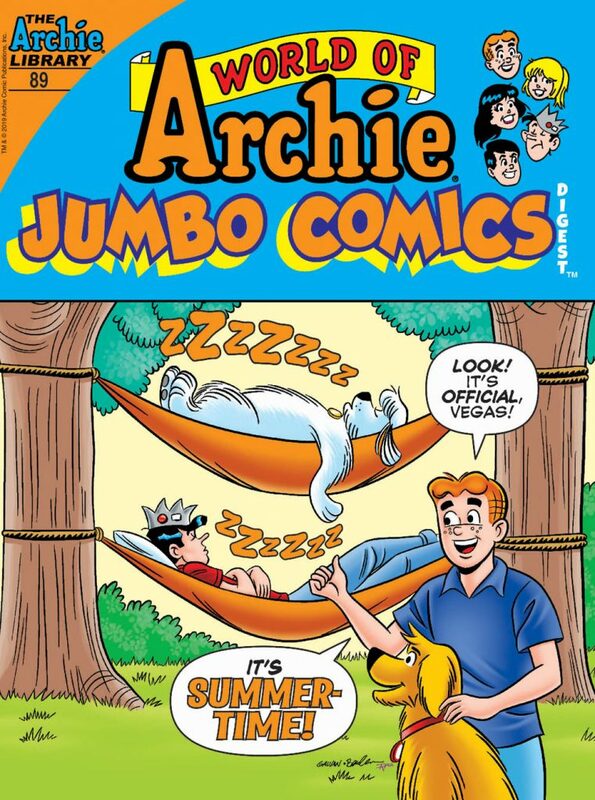 Since they're just putting the banner on a few titles, if it were truth in advertising it should really say "ARCHIE FOREVER EPHEMERAL" It's pretty much the exact opposite of "forever". Everything is transitory, and they're building nothing lasting, or of an even semi-permanent nature. Or let's say, only permanent enough to fill the pages of a single trade paperback collection. 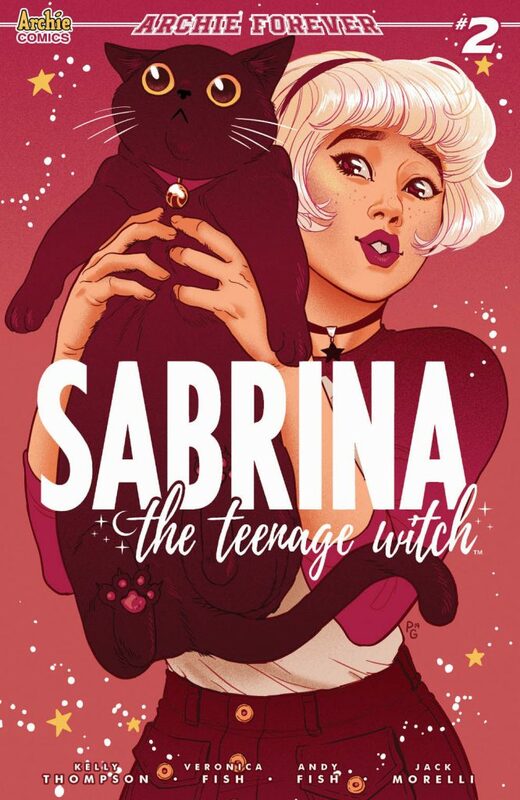 You could also say that the new Sabrina comic doesn't have a bloody thing to do with Archie. Completely meaningless. ^ Well, I know which cover I'll be getting. I saw something about that on Facebook but completely forgot about it. Thanks! I haven't been a fan of Amy Chu's writing up to this point, but Maria Sanapo is one of the better artists Dynamite has employed recently, so despite my disappointment that they didn't hire Dan Parent to draw the interior artwork, I'll give this one a shot. Sometimes with Dynamite I get the feeling like I'm collecting stamps or trading cards, though. With them, it seems like it's really about the covers more than anything else (and sometimes ACP leans that way too, since the 2015 reboot). There have been pleasant exceptions though, so let's hope RS&V Meet B&V is one of them.